By John Unson | Updated March 15, 2016 - 5:00pm MAGUINDANAO, Philippines - A Marine private was killed and an officer was injured Monday night when the Bangsamoro Islamic Freedom Fighters attacked a farming community west of Salibo town in Maguindanao on Monday night. Pvt. Ronel Undecimo of the 25th Marine Company died from multiple bullet wounds sustained in a firefight with BIFF bandits. An officer, 2nd Lt. Shajeed Andik, was wounded in the fighting. The encounter was sparked by an attempt by about a hundred BIFF bandits to enter Sitio Ampuad in Barangay Andavit in Datu Salibo past 8:00 p.m. Monday. The Marines, positioned in an open field east of Sitio Ampuad, returned fire and engaged the bandits in a 30-minute firefight, preventing them from closing in. The exchange of gunfire waned only after the bandits ran out of ammunition, forcing them to retreat to a nearby marsh carrying five wounded companions. Villagers have confirmed that five BIFF gunmen were wounded in the skirmishes. Four of them initially identified as Kiram, Alikhan, Samroud and Jamil. 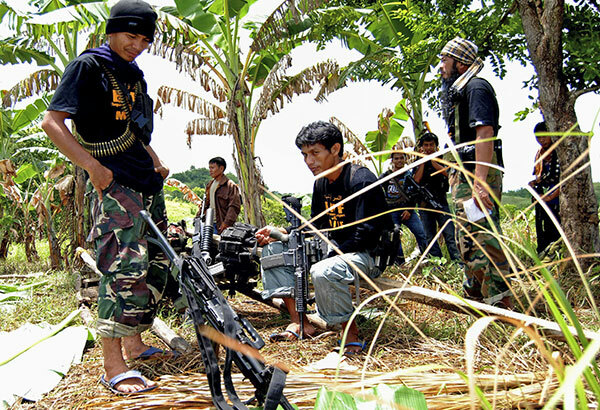 Government forces and the BIFF have been fighting for control of strategic patches of lands in Datu Salibo, located in the second district of Maguindanao, since late January.